Here Comes Honey Boo Boo and the history of the hillbilly in America. What Honey Boo Boo really says about American culture. Lost in the outrage is just how squarely “go-go juice” fits into America’s long tradition of “white trash” entertainment, which for decades has elevated characters like Honey Boo Boo into the nation’s objects of fun. 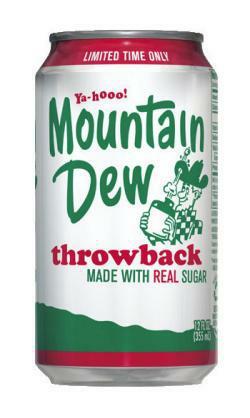 The Pepsi Co. borrowed the Mountain Dew brand-name from slang for moonshine; in the 1960s, it was explicitly advertised as a “hillbilly” drink. The campaign’s entertaining TV ads, which you can watch on YouTube, were scored by twangy banjos and errant buckshot and plotted around a “stone-hearted gal” who will open her heart to you if you only take a swig. Watching these old videos after an episode or two of Honey Boo Boo makes at least one thing clear: The hillbilly has regained the spotlight in American culture. Though the term first referred to mountaineers in the Appalachians and the Ozarks, the hillbilly trope spread to cover pretty much all non-urban territory in America, joined by its cousins in cultural iconography, the “redneck” and “white trash.” Today, people even apply that last term to residents of certain New Jersey beachfronts, for instance. Yet, as Harkins points out, no matter where an alleged country bumpkin comes from, he will be derided for his crass behavior. And such ridicule has always been politically coded: The hillbilly figure allows middle-class white people to offload the venality and sin of the nation onto some other constituency, people who live somewhere—anywhere—else. The hillbilly’s backwardness highlights the progress more upstanding Americans in the cities or the suburbs have made. These fools haven’t crawled out of the muck, the story goes, because they don’t want to. This idea that the hillbilly’s poverty is a choice allows more upscale Americans to feel comfortable while laughing at the antics before them. It also pushes some people to embrace the stereotype as a badge of honor. “Guitars, Cadillacs, hillbilly music / It’s the only thing that keeps me hangin’ on,” Dwight Yoakam once sang. For more contemporary examples of re-appropriation, you can attend any number of Tea Party rallies. The classist term “redneck,” originally coined to indicate those who worked so hard and so long in the sun that they sported sunburns in the designated anatomical location, likewise has been adopted in the name of all that’s good and holy. What’s more American than a hard day’s work. I’m not a Toddlers & Tiaras fan, so I missed out on Alana’s big splash on that show earlier this year. Beauty pageants in general are foreign and noxious to me: I can barely muster the energy to put on lip gloss and mascara. But I watched Honey Boo Boo out of curiosity about the fuss, and found myself, somewhat surprisingly, relating to Alana and her milieu. I have fond memories of that Dwight Yoakam song playing softly on my parents’ radio as we drove home through the dark from a visit to my grandparents’ house in rural Quebec. My family isn’t from the South—we’re not even from the United States—but I know enough of the land Honey Boo Boo lives in to be dubious of simple accusations of bad parenting and worse morals. As that distribution of power becomes more and more unequal, it’s no surprise to see the hillbilly here again—on Here Comes Honey Boo Boo, on Jersey Shore, on MTV’s 16 & Pregnant and Teen Mom franchises. These shows reassure us that our struggle is worth it, all economic evidence to the contrary—if only because we would never belly-flop into the mud on cable television. Here Comes Honey Boo Boo casts this socio-economic divide in especially sharp relief, since the show is rooted partly in beauty pageant culture, which, in its own idiosyncratic way, indulges the American belief that you can work and spend your way to greatness. If you can afford the entry fees, the glitter, the makeup, the coach, and the stylists, you will be the Ultimate Supreme, as they say in the business. You’ll have the sash to prove it. But tiny, 6-year-old Alana is too crass and happy to get it. She is a terrible pageant queen. Her wigs are always askew, her daisy-dukes ill-fitting, and sometimes she grinds her fake teeth. Those rhinestone-studded bootstraps simply can’t pull her up the way she needs them to.